Ushun is one of those few fruits of the world which have an excellent fruit quality but are virtually unknown to outside world. This is found in the Amazon basin. In fact the plant of ushun ( as it is called in the Peru Amazon area) has yet not been studied properly by botanists so even much botanical details are not available. Whatever little is known about them, is from the writings of adventure tourists or photographers. 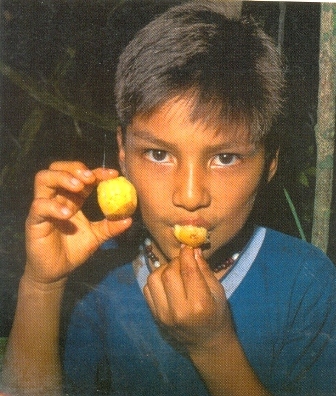 Those who have seen the tree and tasted the fruit consider ushun a very suitable fruit for domestication and commercial orcharding. It grows in floodplain and upland forests of the Amazon Basin, the Guianas, and the Atlantic forest of Brazil. 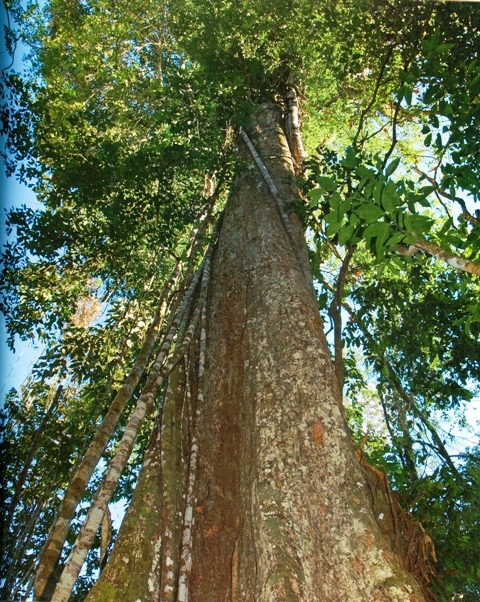 A large tree, upto 50 m high, supported by buttress roots. Fruits oblong, 2.5 cm long, 1.5 cm wide, tan, flesh yellow and juicy, very tasty with a unique flavour of its own. 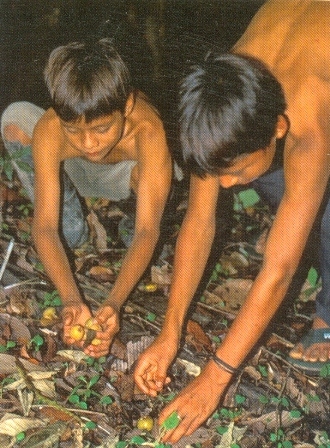 The fruits are eaten fresh after peeling the skin. It has an excellent taste and flavour of an exotic perfume. Besides eating the fruit frsh, the local people also make a juice fromn Ushun fruits. 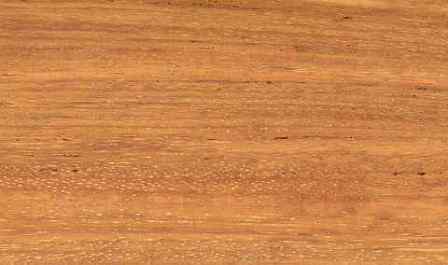 The wood is strong and provides good quality timber. So the old trees, after they become unproductive, can be sawed for timber. Ushun trees grow only wild and no attempt has yet been made for their domestication. New plants can be raised from seed but vegeta propagation also should be possible. The seedlings take 8-10 years for coming into bearing and the tree is also large for orcharding. Vegetative propagation might therefore offer soluion for these problems. Ushun tree is a very heavy bearer.